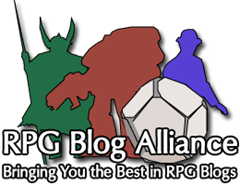 Let’s start off the week of blogging with a double dose of EU Karak-Norn based WAR blogs! Bruglir is one of the more vocal Core Testers from Karak-Norn (Home to MANY EU bloggers apparently). At the recent UK Gamesday he was one of the bloggers that broke a lot of the Skaven news for the US crowd. Definitely a good one to have on the blog roll! Hadrune is a new blogger hailing from Karak-Norn, and like any new blogger I encourage everyone to pop over and greet them! If there’s one thing that tips the scales between a start-up blog continuing or sputtering off, it’s whether or not they feel like they’re being heard. Head on over and show your support! Also, as an added bonus a direct link to the WARBITS! comics. If you haven’t seen these you really shouldn’t be missing out on them. Supply Lines Have Been Strained!